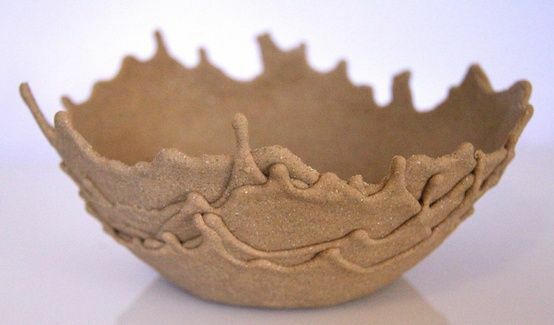 grandma's cookie jar: crafting with grandma - Sand Bowl! I was browsing Pinterest last night and found an interesting, unique and simple craft I thought I'd share with you all. It looks like something my grandsons might like to make - I hope it actually turns out, because if it does, it would actually be pretty cool! Follow this link and you'll find the specifics - you have to scroll down through the comments a bit to find the directions. I think this looks like a really unique project - I hope it works! If you try it, please let me know how it turns out for you!